One of the best things about yoga, stretching and restorative poses is the fact that you can do much of it basically anywhere, any time. (Some poses more than others, of course, but you get the idea.) You can go through some sun salutations in your work clothes out on the lawn during your lunch break, or bust out a little mountain pose while waiting for your flight at the airport — no fancy equipment or anything needed. One of the other best things about restorative poses? There’s so much cool stuff to help you take your practice to the next level. And happily, we get to check goodies out on a fairly basis, so here are a few things I’ve been using and loving lately. 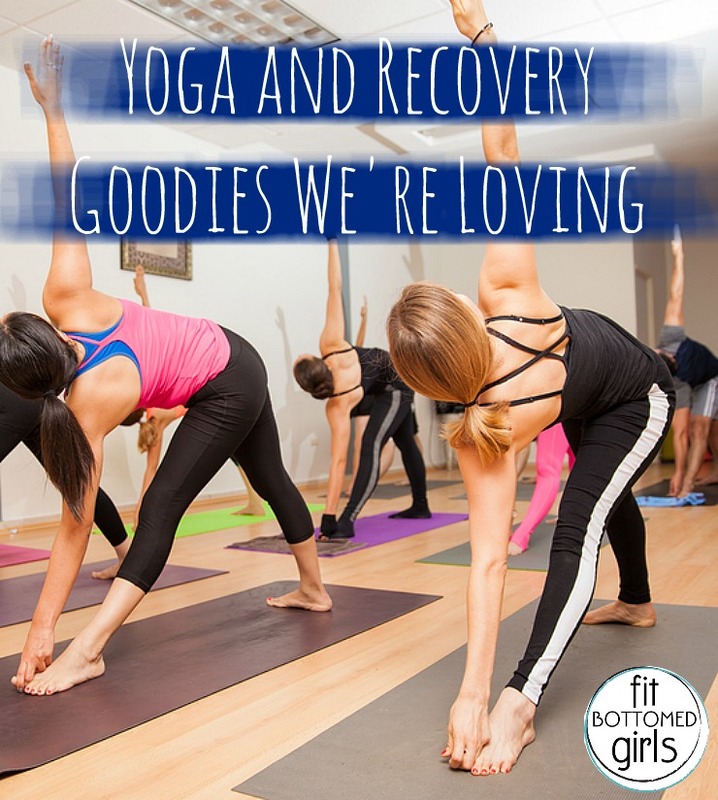 I was first introduced to KiraGrace years ago and loved the fact that the brand offered quality yoga clothing that, in many cases, could easily do double duty. I still wear my first pair of black KiraGrace ruched capris with tunics and street shoes all the time because they’ve got just a little more style than plain black yoga pants. So why talk about KiraGrace now? Well, I’ve just discovered that they have a “Shop by Fit” option which allows you to easily filter options by clothing designed for three “goddess” types: Diana (athletic, not terribly curvy), Venus (loads of curves) or Victoria (somewhere in the middle). Such a cool idea, right? For all fits, there are lots of options that go way beyond the standard tank and tight. They’ve got gorgeous prints, super cool straps, flowy fits, cut outs and more. I’ve been having issues with a stiff neck for … well, weeks now, and while I can utilize my handy dandy shiatsu massager when I’m at home, sometimes I need a little relief when I’m out and about. Plus, there are times when I know exactly where the knot is and I just need to, you know, get it. Well, when I was in New York to speak on a panel at STORY in January, I met BJ, the founder of The BodyworksBall, and you guys? I don’t want to live without it. 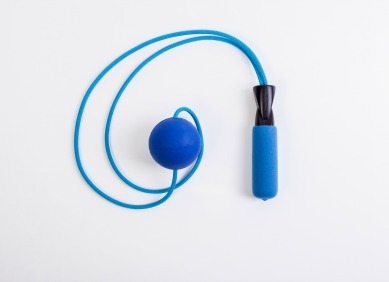 Basically, it’s a hard rubber ball on a rope with a handle, and it allows users to place the ball anywhere muscles are tight or in spasm (like, you know, your back and neck, but also your feet, hips, you name it). For my back and neck, it’s easy to drop it between myself and a wall, then lean in and roll to get it in just the right spots — something that’s particularly beneficial when I’m at a hotel or out in public and don’t want to get down on the floor. It’s small enough to fit in most handbags (and you definitely have room in your gym bag), so there’s no reason to remain in pain! You guys? Why did it take me so long to bring grippy toe socks into my life? Last summer, I finally got into some Shashi socks and loved them, and recently, I tried out some Bellarina ToeSox that are kind of rocking my world. They fit well in both the full and half toe styles, and they come in so many cool colors and patterns. (Yes, that’s an important factor.) 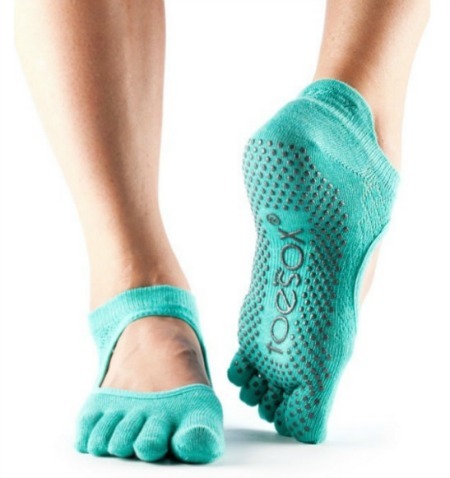 They’re awesome for yoga, Pilates, barre. I find that, if I have a pair in my bag, ready to go, it makes it easier for me to kick off my shoes and jump into a class (or just hit a few poses on my own) wherever I happen to be. I have tried yoga a handful of times but get intimidated by how much I can’t do! I need to give it another go!